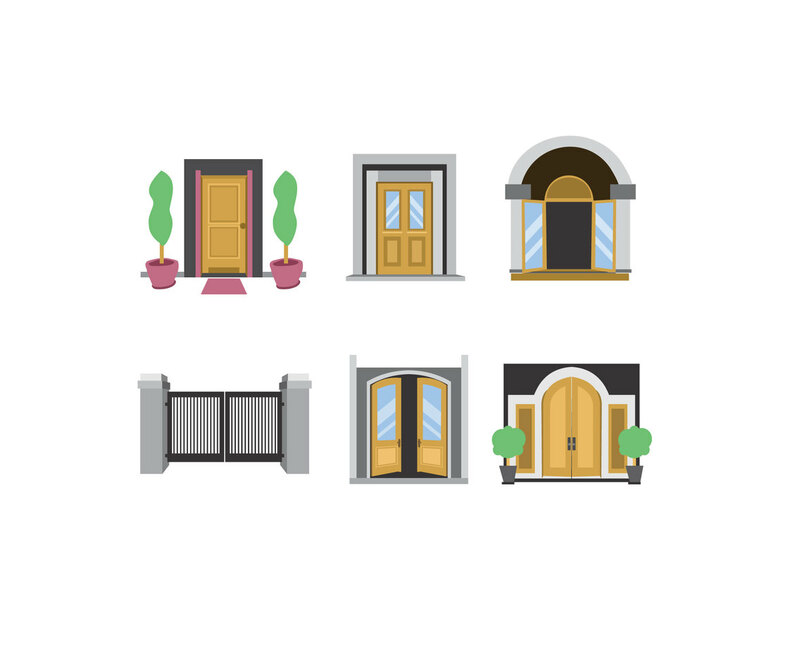 When you need to find illustration about doors or home entrance, you can pick one of these vectors. Each type of home entrance has some details in the door shape, window and greenery at the both side of the entrance. It will save time when you want to include it in a house facade design or any architectural design presentation.